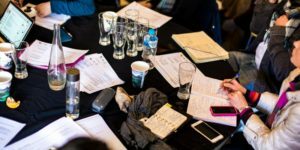 Notice of the 2019 Annual General Meeting of Theatre Network NSW Inc. This is a family-friendly event. Children are welcome. TNN May Day Forum will be held to consult with all NSW theatre stakeholders (members and non-members of TNN) about the future of the organisation. While non-members are welcome at the AGM, only TNN members have voting rights or can nominate to the board. accept nominated TNN Board members. Completed and signed nominations must be sent to Theatre Network NSW at director@tnn.org.auno later than Wednesday, 24thApril 2019. Invitation for TNN members to attend the NSW Theatre Forum that follows with Eventbrite link here. AGM 2019 Agenda and business papers will be sent out on 24thApril 2019. © 2016 TNN. All rights reserved.